Kiwi Street is named after New Zealand’s national bird and the emblem New Zealanders have chosen to represent their country. The first Maori settlers named the ground dwelling bird after the cry of the male bird. A nocturnal bird, it is under increasing pressure from habitat destruction and feral predation. 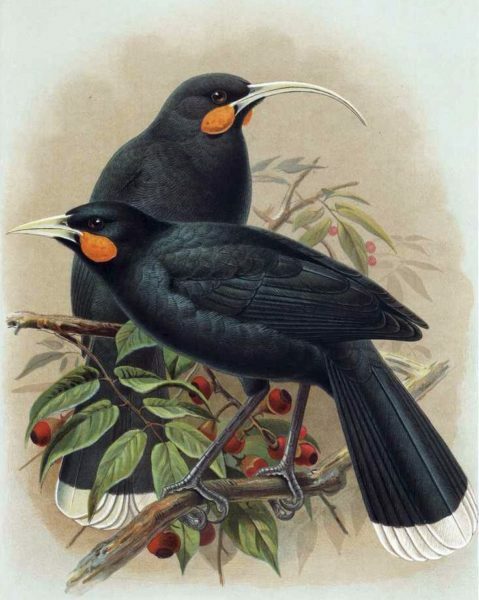 The huia was one of the most prized of all birds to the Maori, the tail feathers being a sign of rank. The name of specially carved boxes made to contain the feathers, wakahuia, has come to mean a container used to house anything of great value. Wairarapa has a special interest in the bird as it is likely that the region was one of the last places where it survived. The huia was recorded in the Wairere area well into last century. The name Huia was used for Huia Street, and for the soft drink factory in Bannister Street that later became the WACO factory.